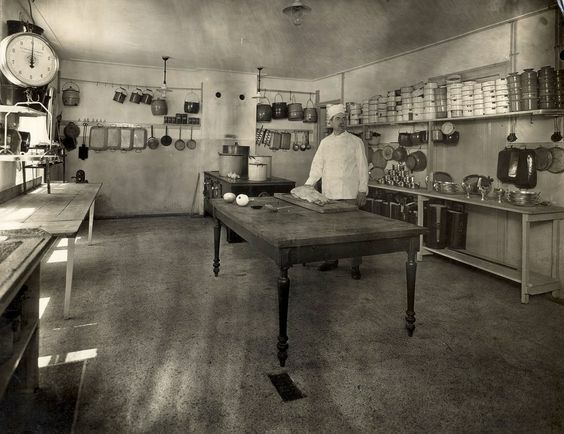 The realm of the kitchen is filled with common wisdom and unwritten laws that are somehow accepted by everyone but never really put to the test. Reason for this is that many recipes and techniques are passed down from chef to sous-chef to commis or from grandmother to daughter to granddaughter without questions asked. If put to the test, some of these laws prove to be not entirely correct, not to say downright false. Yet the culinary world is sometimes slow to accept change, mostly for good reason. But sometimes not. Through research and experimentation we have found that some of these kitchen edicts are nothing more than myths and even good chefs, including the famous ones, will tell you things that are simply silly or untrue. 1. 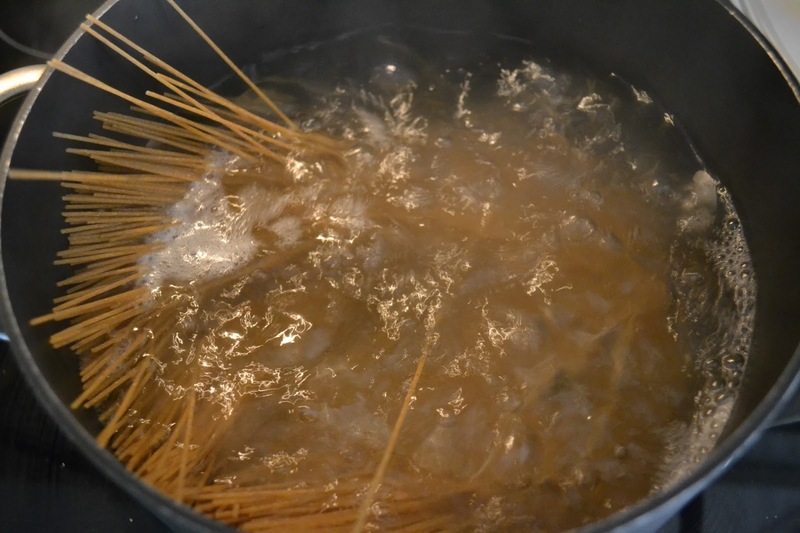 Pasta needs to be cooked in a large amount of water. The idea here is that pasta needs to be cooked in water at a rolling boil and a large volume of water will return to the boil quicker after you have added the pasta than a smaller volume as it captures more energy. Simple physics debunks this one. The amount of energy needed to return the water to a boil is the energy needed to boil the mass of the pasta you've added to the pot. And since you add the same amount of pasta to both pots, the amount of energy needed to return to the boil is equal for both pots. In fact, if you would do the experiment, you would find the smaller pot returns to the boil faster than the large pot as it has a larger surface area that will lose energy into the surrounding air when re-heating. So cooking your pasta in a smaller pan, with just enough water to cover by 2-3 cm will do just fine. It saves water and energy and will give you more starchy cooking water that you need if you properly sauce your pasta. 2. The water should be 'as salty as the Sea'. Accepted common wisdom says pasta will soak up the water it is cooked in and if that water is not salty, the pasta will be bland. Well yes, but not really. Pasta does soak up whatever it is cooked in, but it does so only in the last few minutes of its cooking time. And if you cook pasta correctly, you will never fully cook it in water but always finish your pasta in the sauce. As a result you need much less salt in the cooking water. We found that 1 teaspoon of salt in 4 liters of water is more than enough to cook tasty pasta. 3. You need to add olive oil or stock cubes to your water. Reason for these misconceptions is the idea that oil would prevent your pasta from sticking, and the stock would do the same with the added benefit of adding flavor to the pasta. Sorry to all those other chefs echoing myths of the past, but these tidbits are absolutely wrong. For the 'adding flavor to the pasta' part, we refer you to myth #2. If you are depending on your cooking liquid to add flavor to the pasta, your cooking your pasta the wrong way. Secondly, oil and water don't mix. The oil will simply float on top of the water and wil not get in contact with your pasta while cooking, so there is zero effect. You are simply wasting oil. 4. You need to rinse your pasta under cold water. Pasta is covered in starch which needs to be removed. 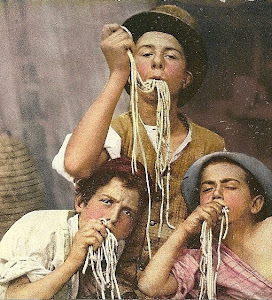 Of all pasta myths, this is the most ridiculous one. Pasta is covered with a thin layer of starch when cooked, true. But we need that starch to bind our sauce and make it stick to the pasta. You don't rinse your potatoes after cooking either! Never ever, ever rinse your pasta, not even when you are making a cold pasta salad. Also then you need the starch for the dressing to stick. To avoid pasta from clumping while cooling down, simply give it a stir every other minute. That's all! If you have too much starch on your pasta after cooking, you have most likely bought the wrong pasta or overcooked it. Always choose pasta made from hard wheat semolina or 'Grano Duro'. Hopefully, debunking these myths will help you cook even better pasta in future. Any interesting myths we missed? Please let us know. We would love to hear!